Privacy fences can block out unsightly views and limit others view to your personal outdoor living areas. To achieve a high degree of privacy, defenseless block visibility into the yard. And effective privacy fence is usually 6 feet high with tightly it infill. Lattice and spaced pickets usually make poor privacy fences because they allow moderate visibility through the fence. Consider employing two shades of fence staining or pay to make it appealing contrast to your privacy fence. Dress the area with shrubbery and flowering plants. The tall fencing will provide a beautiful backdrop for gardens. 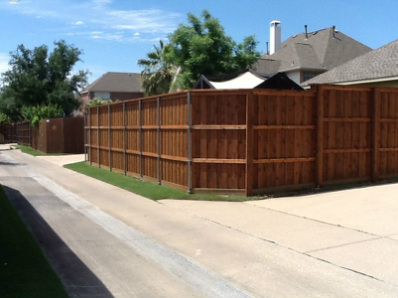 No matter what your privacy fence needs are, DF Fence can help. 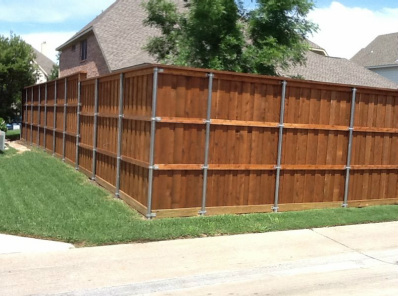 We specialize in safety and security fencing in the DFW metroplex including Fort Worth, Arlington, Southlake, HEB and more. Get a free price quote today!